12 Reg. 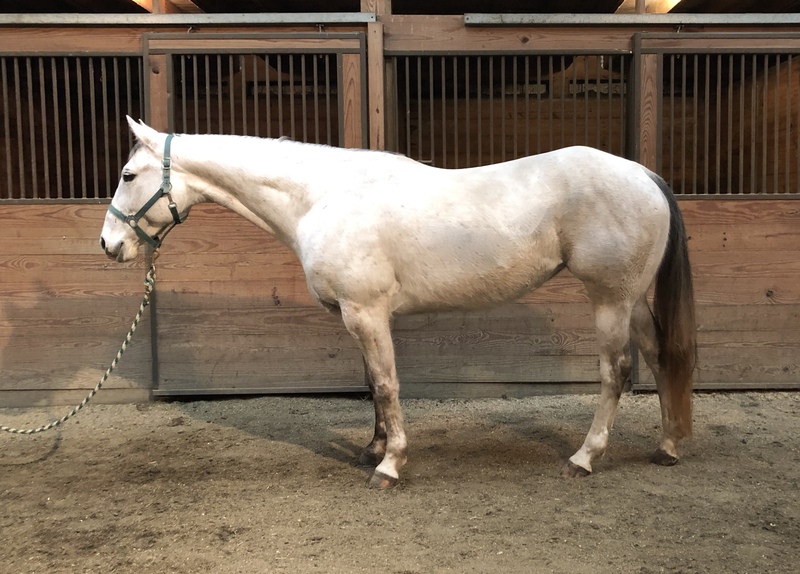 QH Grey Mare 7yo, 15. hands, Western or English, has both leads and quiet and willing attitude, will take you to the shows on Saturday and trail ride on Sunday. Super sweet! This mare is ready to go do whatever you want her to do! She is very classy and just a joy to have around!!! She floats around, trots, and lopes both ways soft and quiet, has a big, quick, soft stop, backs up, turns around both ways, side passes, and has her leads. She is super broke and quiet, no-nonsense.